Our eyes are glued to the television on the morning of August 23, 2010. A disgruntled policeman hijack a tourist bus in Manila full of Hong Kong tourist. Negotations broke down when the police arrested his brother incited him to open fire. The police swat storms the bus to rescue the hostages but they failed. Eight hostages were killed and several others were injured during the rescue attempt. Lack of equipment and training, poor as well as media coverage contributed to the death of the eight tourist. The Philippine government were strongly criticized for their handling of the situation. Filipinos who are working in Hong Kong fears of retribution after the hostage fiasco. My friends cancelled their hong kong trip and our family warned us from traveling there. We are scheduled to visit Hong Kong and Macau two weeks after the tragedy. After a short discussion, we agreed to push through. We took the red eye flight to Hong Kong from Manila. The plane landed on time and the difficult part was the immigration. There were unconfirmed reports of Filipino tourist being denied after the hostage fiasco. We handed our passport with the form and 10 seconds after the immigration officer smiled and stamped our passports. It was a relief then we head straight to the baggage carousel to get our bags. 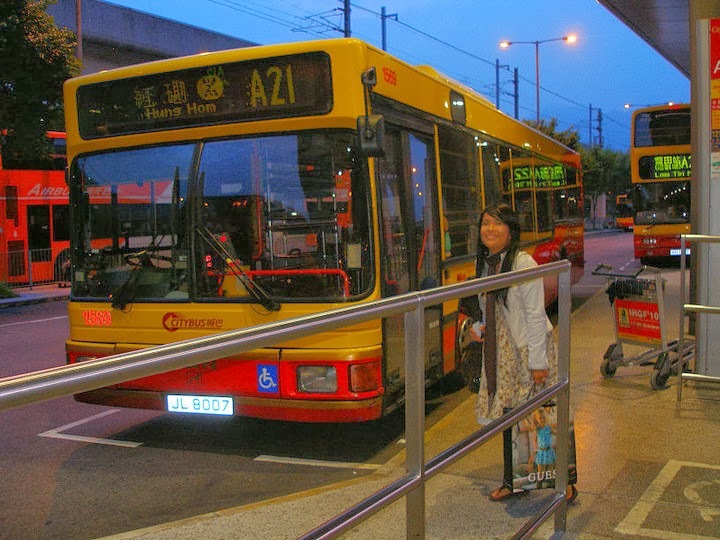 We strolled around the airport while waiting for the A21 bus to Tsim Sha Tsui. Payment on buses is either via Octopus Card, or with exact change into the automated payment box at the front of the bus. The fare will be displayed on the box and at many bus stops. Drivers do not generally speak English. We prefer using the Octopus card which is much convenient and easy to use. No need to prepare the exact change, just wave the card to the machine and it's good to go. You can purchase the Octopus card at MTR stations, 7eleven stores and MTR customer service booths. The bus departed on time. We chose to stay at Golden Crown Guesthouse along Nathan road because of its ideal location and positive reviews from TripAdvisor and Agoda. We paid Php 3,600 per night for two persons with free internet connectivity. 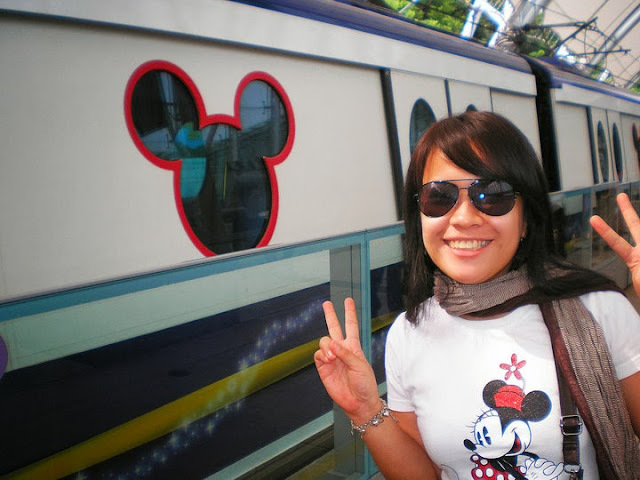 The following day, we took the MTR from Tsim Sha Tsui to disneyland. Inside, two of the five passengers in front of us are reading the newspaper. Todays headline is Manila Hostage. We just look at each other and continue our magical journey to disneyland. We alight at Sunny Bay station for the disneyland resort line. Driverless Disney themed MTR trains operate on the Disneyland Resort Line for the four-minute journey connecting Sunny Bay Station, on the Tung Chung Line, with Hong Kong Disneyland. Cool train by the way. Even the onset of adulthood can't mute the excitement of screaming one's lungs out on a roller coaster especially the "Space Mountain". It was a fun filled day at a magical place where adults relive their childhood memories. By the way don't forget to watch the Grand Parade and fireworks. Hong Kong Disneyland has its own MTR station, Disneyland Resort, next to the park entrance. Disneyland Resort MTR Station is served by a short spur line from the MTR Tung Chung Line at Sunny Bay. The Tung Chung Line starts at Hong Kong Station** (the terminus station for the Airport Express) on Hong Kong Island and also serves Kowloon Station. The journey time from Hong Kong Station to Sunny Bay MTR Station (six stops) is approx 25 minutes. From Sunny Bay MTR Station a Disney themed train operates a frequent shuttle service for the four minute journey to Disneyland Resort Station. 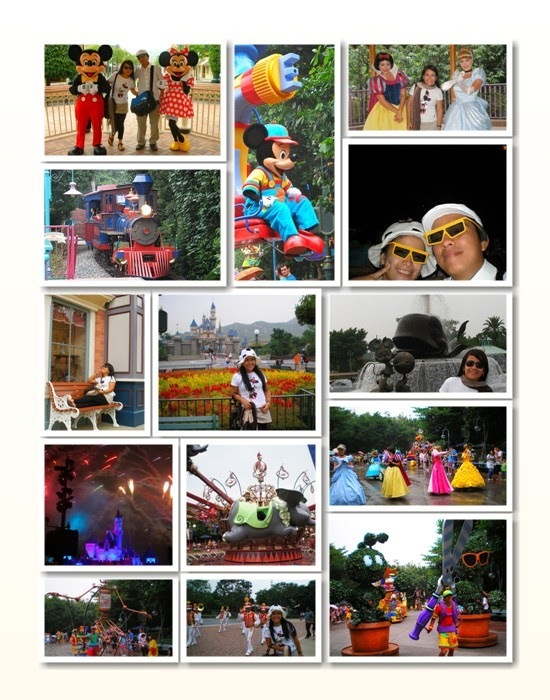 Services from Hong Kong Station operate daily from about 06-00 to 00-50 and from Sunny Bay MTR Station to Disneyland Resort from 06-20 to 00-10.